will bring 200 new homes, including affordable housing, to the area by 2018. Mary McHutchison, Sales Director for Bovis Homes' Southern Region, said: "We're very excited to see this latest phase of our work in Winchester coming to fruition. The development has been very popular so far and brought much needed new homes to the local market. 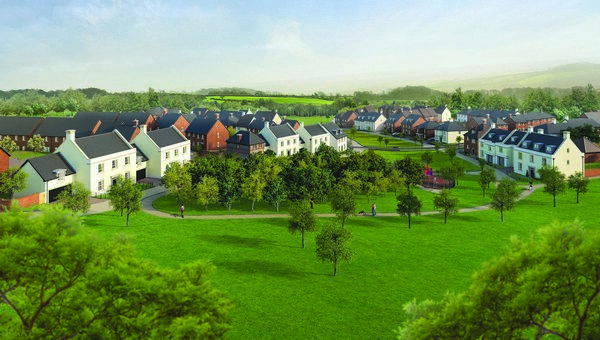 We've put a real focus on families at The Green with larger homes close to public open space. It's the ideal place to bring up children." The Green @ Winchester Village will be officially launched to the public on Saturday, 24 September, with a special offer for those who work in London but are put off by the capital's property prices.,. Bovis Homes is offering any purchasers who reserve during launch weekend a fully paid 12 month season ticket for travel to London Waterloo when they move into their new home. Mary McHutchison explained: "The Green @ Winchester Village is perfect for London commuters, being just an hour's train journey from Waterloo station in the heart of the city. We're keen to offer a viable option to those wanting to move out of London for a quieter pace of life, or those that are simply looking for a bit more space."